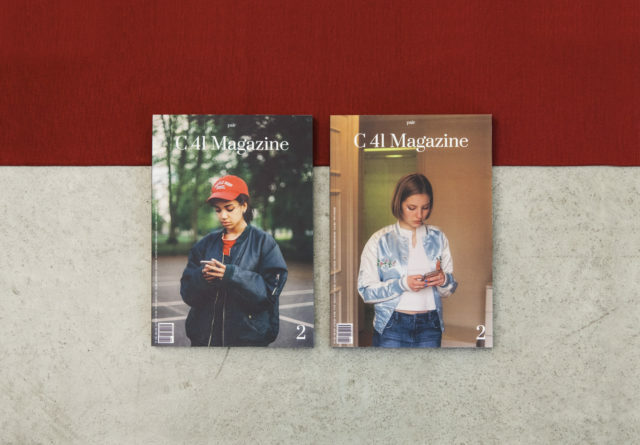 C41 Magazine issue 2: Technology makes people feel closer. In this issue, we’re exploring the meaning of the double ― pair ― understanding the way our peers are currently defining photography. Our worldwide research is enriched with editorials, interviews, video, gif, and our first curatorial space. Did you know that, for the second time in the history, we’re witnessing two popes alive? We started from there. DETAILS: 162 pages, offset-printed and perfect bound, full color on uncoated paper. Printed in Italy by Pixartprinting. SHIPPING + HANDLING: Calculated at checkout. 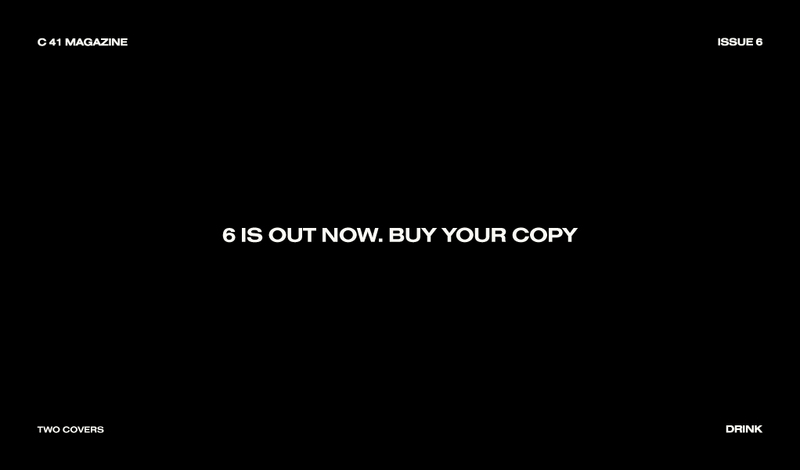 Date of publication: May 16, 2016. AUTHORS: Chiara Spaghetti Kurtovic, Alexis Vasilikos, Sara Benaglia, Claudio Majorana, Ioan Pilat, Stephanie Noritz, Ramona Deckers, Adi Putra, ALMA, Chloe Sheppard, Austin Irving, Benedetta Ristori, Franck Jessueld, Giulia Bersani, Roberto Gramostini, Nika Petkovic, Piero Percoco, Dimas Melfi, Alexandra Spence, Maya Kapouski, Ciro Frank Schiappa, Alexander Coggin, Nicola Iannibello, Alex Vivian, IZBERG, Daniel Dorsa, Ioanna Chronopoulou, Julie Renée Jones, Teresa Enhiak Nanni, Giulia Agostini, Giulia Caminito, Paul van Vugt, Chalard Maud, Holger Mohaupt, Greta Langianni, Laura Lachman, Brunella Fratini, Luca Argenton,Kensuke Koike, Fan Shi San, Enrico Carpinello, MFG Paltrinieri, Giovanni Albore, Maurizio Annese, Luca Pernini, Damjan Cvetkov Dimitrov, Nina Geometrieva, Benedetta Falugi, Gustavo Gomes, Francesco Sambati, Cristina Altieri, Valerio Platania, Eli Durst, Tjorven Bruyneel, Hemya Moran, Ana Topoleanu, Daniel Caplan, Alessandra Papagni, Stefania Papagni, Era Ora Ivana Gloria, Paolo Massimo Testa. TWO COVERS BY: Chloe Sheppard.